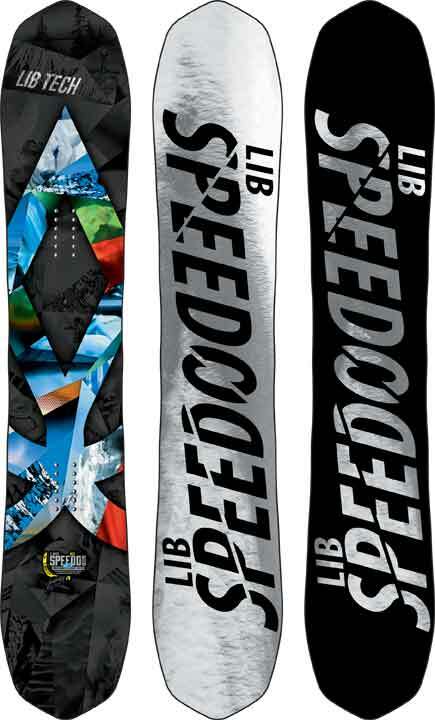 The Lib Tech Travis Rice Speedodeeps is a hilarious name and its one of the better deep powder twins we have tried. I asked to demo this on a groomer day and Mervin said no so it lead me to believe it has a lot of the old Banana Hammock going on with it but when I got it out on groomers and some left over powder it did much better than expected. Since I’ve reviewed it in 2014 it’s gone to XC2 BTX and it’s got a little more mountain to it as well as powder. Conditions: Older thick Sierra Cement and some groomer riding. 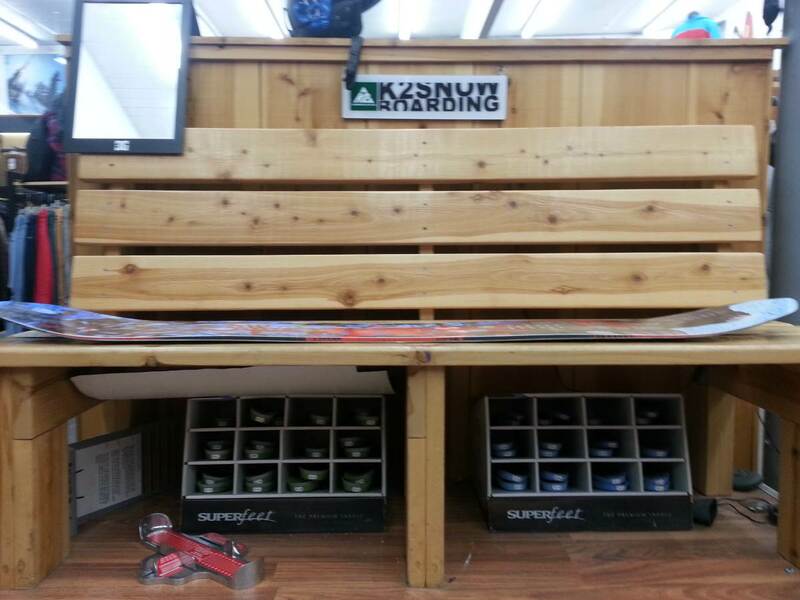 Set Up: Centered, approx 23″ wide 15 front -15 back. Approximate Weight: Feels normal to the light side of normal for it’s size. On Snow Feel: So let’s start out with a little talk about the Camber Profile. As you can see the tip/tail is lifted pretty high. 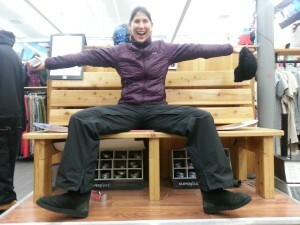 Mary also tested out the Speedodeeps in the shop. Thanks Mary. So it’s very loose between the feet for hybrid rocker/C2 BTX but it’s about the same or a little better than continuous rocker. However in deep powder you aren’t going to notice that. It’s all about catch fre powder twin riding and that’s pretty much it. It’s more of a quiver board than a one board solution. It’s still a lot better than the old Banana Hammock that had a wider waist than tip/tail. This is just a more normal twin with a lot of rocker and a floaty tip/tail. One footing and flat basing is fine in powder or pretty soft snow but on a few harder spots it was loose and unstable. Turn Initiation: Its super easy edge to edge and a quick turner despite the waist width is more on the wide side. Flex: Pretty mid to medium/stiff flex. Edge Hold: The newer MTX with more mellow mag near the tip and tail makes it better in powder but there is still a little bit of grab between the feet. Powder: Also twin powder riding means it’s made to ride switch as much as you ride regular in the deep stuff. Not many people can do this but those of you who own it switch like Jimbo would really enjoy this board. It’s got really good float for a twin and I had no problem staying afloat in thick sierra slush. It felt about as good as a lot of directional hybrid shaped all mountain boards I tried. It didn’t feel effortless like the Birdman but it’s about as good as you can get for a twin. Carving: Not really a great carver but that’s expected It’s hard to get all that rocker pressed down so the tip and tail engage really well in a carve. Speed: Not a groomer bomber. It’s just too loose but it’s fine for high speed in powder. The base keeps it’s speed well and has a good glide. Uneven Terrain: In the bumpy left over powder the Speedodeeps wasn’t that hard to turn around and it did pretty well for a 162 with a mid/wide waist. Switch: Pretty much the same either way. It’s a twin. The only shape easier is Asymmetrical boards. Jumps: Nice pop from between the feet and it’s ok popping off the tip/tail. Pipe: No pipe riding done. We try to get as many images of the Lib Tech Travis Rice Speedodeeps, but forgive us if they're not all there. I have the 2015 model and is a incredible board. 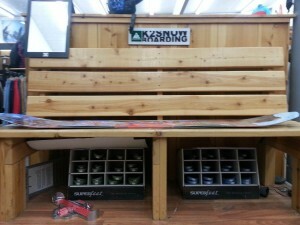 In hardpack is a short board but in powder the board works as a 162 board , and so easy to ride !!! Gave this thing a shot in great knee-deep right side up pow and it rode very well on the groomers on the way to the pow- very light, quick edge to edge, and great edge hold. In the powder, it didn't float well and the nose was always diving, especially upon landing. And it was obvious why when i took a second look at the shape of the tips- the space where it tapers and comes to a point is where most snowboards have a full, rounded shape which floats the tips above the snow. I think a board built exactly like this one but with normal ends would be a great board.